The first shots of Iron Man's latest armored rival are out and about. 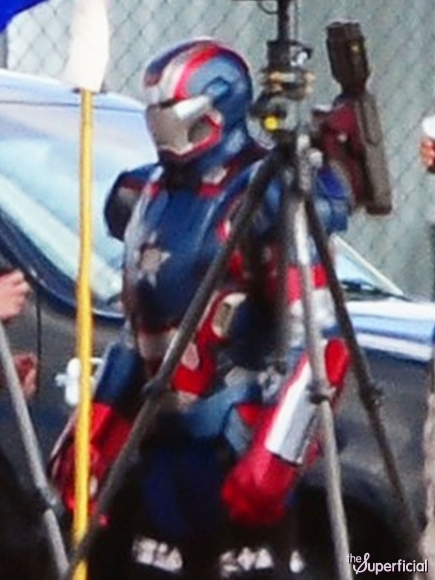 If you think the Iron Patriot armor looks like a mash-up of Iron Man and Captain America, you're not wrong. The suit was "designed" by Norman Osborn, AKA the Green Goblin, who, after being installed as the head of the government-sanctioned post-"Civil War" Avengers by the forgiving magic of comic books, decided that the best way to earn the trust and love of the public was to slap it in the face with a big dose of heavy-handed symbolism. So he grabbed an old Iron Man suit out of Tony Stark's closet, painted it up in the Cap's colors and put it on in the name of truth, justice and all that other good stuff. 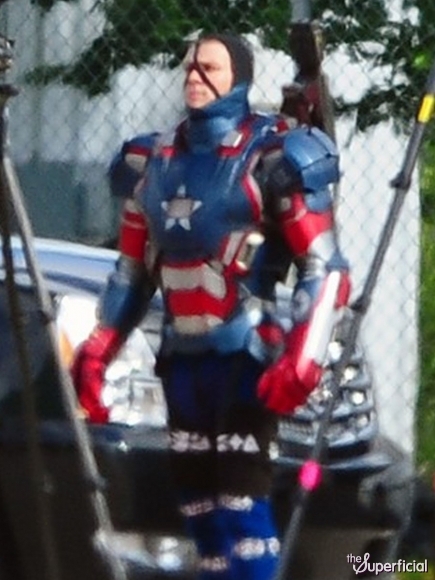 Alas, the Normster won't be wearing this thing in Iron Man 3, but it's going to show up in the movie nonetheless. The man behind the mask will actually be Eric Savin, as played by James Badge Dale, who in the comics becomes a cyborg (presumably a bad one) called Coldblood after stepping on a land mine. 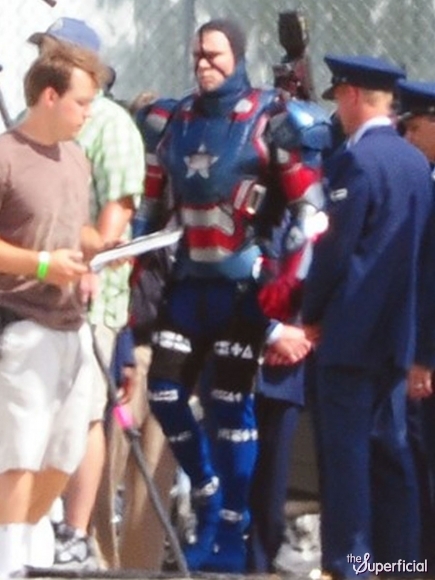 So why is he strapping on the Iron Patriot armor in Iron Man 3, and not ol' Greenie? Chalk that up to the Spider-Man schism between Marvel and Sony. Sony still owns the film rights to Spider-Man, and by extension Norman Osborn, and while death is never much of a stumbling block for Marvel Comics characters, licensing rights most definitely are. So Norm is out, Coldblood is in - sort of - and we can all look forward to yet another armored argy-bargy on the big screen.